Manners have always been one thing that I have always made sure I had myself. It is my biggest hate when others do not not use their manners towards me. Bad manners something I have definetly noticed a lot more since I have gotten older and especially since I have become a parent. So when it came to teaching Lily manners I got on with it straight away. As soon as lily was old enough to start doing things like passing me things, I taught her please and thank you. Thank you was first, and I used the actual words "Thank you" rather than "Ta". I do understand that "Ta" is easier for a child to learn and say, and so they may start speaking their manners earlier. So there is nothing wrong with your child learning this word apart from it is slang and unless you want your child saying "ta" for the rest of their life, you then have to teach them for a second time that the word is "Thank you". I figure that you cut out the middle man with "ta" and straight away use Thank you. As for a baby its not terribly important that they use there manners so doesn't matter if they aren't saying it straight away. I think when Lily first said thank you. It came out as a "yuuuu" when she took something from us. That soon progressed and the more she heard it, the more that she spoke, then the better it got and eventually you have what we get now. A full on Thank you. Please didn't come until much later on. But now she says that a lot. Especially if she really wants something I get either "Please mummy" or "pleeeeeaaasssseeeee"
Children really pick up words from us and follow what we do as parents. So its really important that we remember to always use our manners. It is the easiest way to teach them by just using them ourselves and before you even realise, they have learnt it and are saying it. 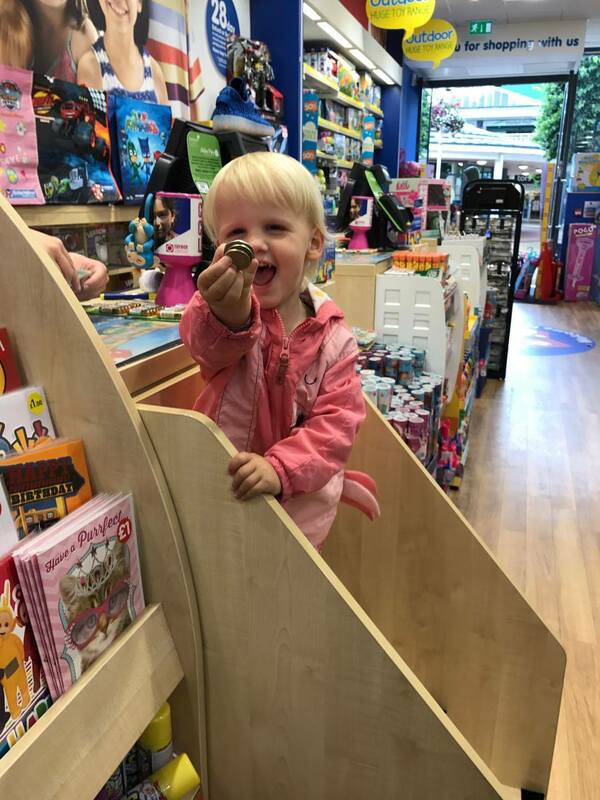 For example Lily is really good at saying thank you if she pays for something in a shop. I haven't sat her down and taught her that when you buy something, and they hand you the toy back that you have to say thank you. But it is just something she has seen me do and so now does it herself. 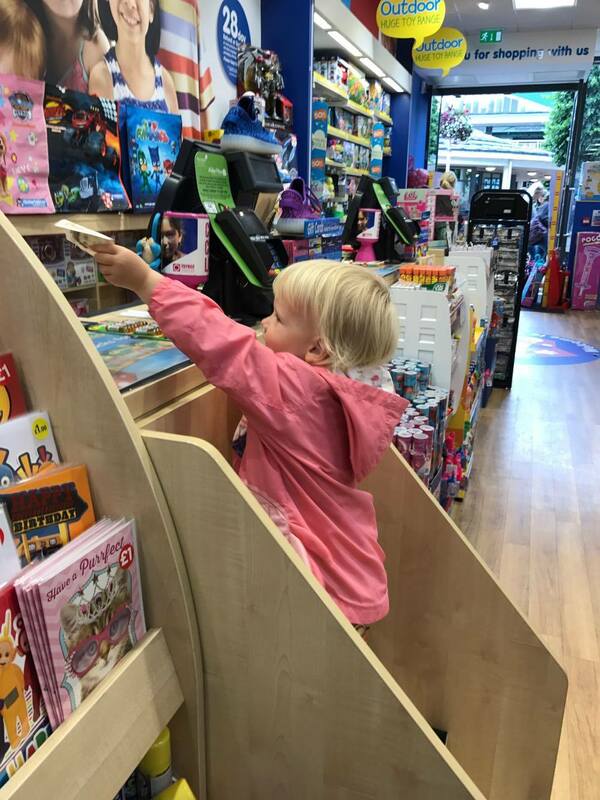 I feel ever so proud when she has nice manners to the shop keepers. Children are children though and of corse they do forget at times. I usually just give Lily a simply reminder and ask her "What do you say?" and she remembers and says "thank you". It really is never to young to teach your child manners. I am currently trying to teach Lily to say excuse me when she breaks wind or burps. She currently just laughs and shouts "ooo I just popped". Which I do find cute and funny. But she now needs to also learn to say excuse me at the same time. Do you find it important for a child to have manners? How did you teach your child manners? I think it's important to learn manners from an early age. I'm doing my best to be a good example. It's nice that my daughter's nursery encourages good manners. We even work on getting the infants and toddlers to show age appropriate manners. I think the consistency makes a huge difference. Yes I think manners are very important to learn, I never bothered with Ta either, I taught them the proper words from the start. They still forget sometimes though, so then I have ask "whats the magic word?" Manners are super important, I've always said please and thank you to my children, they're little sponges they learn everything from us so we have to be a positive role model, my 18 month old is very handy with "thank you" when given something, and my 3 year old is great too with her pleases and thank yous, and you really see it come together the older they are my 8 year old is so respectful it makes me so proud when she jumps up out her seat for someone on the bus or picks something up for someone. I agree maners are so important. I often get comments about how polite my children are. It's seems so natural to have manners! Yes, I do think that it is important that children have manners. Though that should apply to children of all ages and adults. Children do learn by observation and experience, just the same as the rest of us. I think we often do teach our children to say Please and Thank You, appropriately. Though unfortunately that seems as far as it goes for some in regards to Manners. I hope children grow up with Respect, for themselves, and others. We need to know when it is appropriate. So it also seems that we need to teach our children Morals, etc. As we need to be aware. Self Respect, Self Esteem, Empathy, etc are important for living in the Modern World. You seem to be very considerate in regards to Lily's upbringing and quality of life.